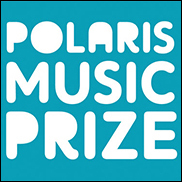 TORONTO, Canada (Hypebot) – The Polaris Music Prize, which honors the Canadian who produced the country's album of the year, announced its short list. It is, as usual, an eclectic list of nominees. The event streamed live on TFO’s BRBR and Periscope. Over 150 members of the media and music industry were in attendance. Singer-songwriter Fred Penner will be the host of this year’s Polaris Gala event to determine the winner taking place on September 21 at The Carlu.